Dwarf Grandpa Gary’s Green (Sneaky family) – 70 days – Patrina Nuske Small created the Sneaky family by crossing an F3 selection of Kangaroo Paw Red with Grozny 91 in 2008. 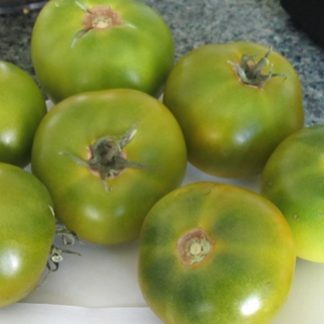 Susan Oliverson was the major volunteer contributor to Dwarf Grandpa Gary’s Green, selecting and naming the new variety, with help from Craig LeHoullier and Carol Keiper. Bill Minkey produced the release quantity of seed. 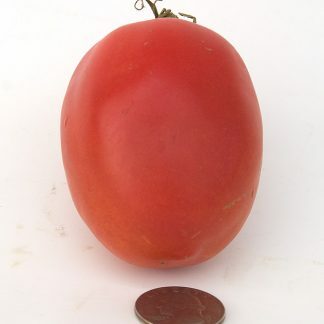 Regular leaf dwarf that produces very good yields of 4-6 oz slightly oval fruit with green flesh and yellow skin when ripe, possessing a mild, well balanced, pleasant flavor. 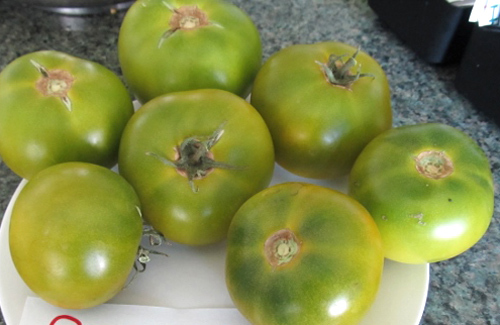 From Bill Minkey’s notes: Dwarf Grandpa Gary’s Green – 4-6 oz., green fruit. 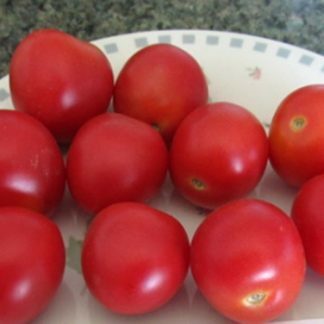 Very good yield and very good plus flavor.